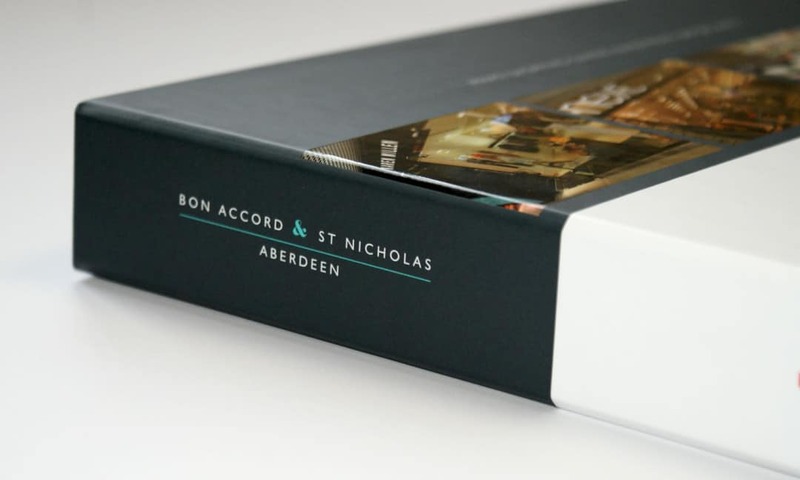 THE INVESTMENT: The Bon Accord & St Nicholas Shopping Centres are together the second-largest shopping centre complex in Aberdeen, Scotland and serve a large catchment area including the city and surrounding Aberdeenshire. THE BRIEF: With our reputation in commercial property marketing and with our ever growing collection of bespoke investment portfolios under our belt, we were exclusively appointed by the Cushman & Wakefield retail investment team to create and produce a full marketing campaign for the prestigious investment opportunity. THE DESIGN PROCESS: When instructed on a job of this scale, it’s important to first identify what is required and to act on it swiftly, something our team are more than capable of doing. Time management plays a huge role in what we do, from the organisation of onsite photography through to the designing of maps, charts and page layouts, it all has to be done within the time frame provided by the client. WHAT WE DID: A bespoke, 72 page, portfolio was produced, filled with artistic photography of the property, custom maps and charts designed and included detailed in-depth analysis of the site’s financial standings, along with information about the area’s unique history and heritage. ONLINE MARKETING: A custom built interactive website was designed and developed by our digital team. The site included a variety of fully downloadable documentation, which could be accessed through a secure login data room. Downloads could also be monitored through a statistics segment, with site traffic readily available to the vendor when called upon. The printed portfolio was also built into an interactive brochure format.